Architects, engineers and contractors have a unique set of needs when it comes to an imaging company. 3rd Coast Imaging has been a valuable partner to countless firms since its inception. These industries depend on precise, high-quality prints with quick turnaround times. Their business depends on a partner that comes through every time. At 3rd Coast Imaging, delivering quality work and exceeding customer expectations is not only our goal, but it is our guarantee. 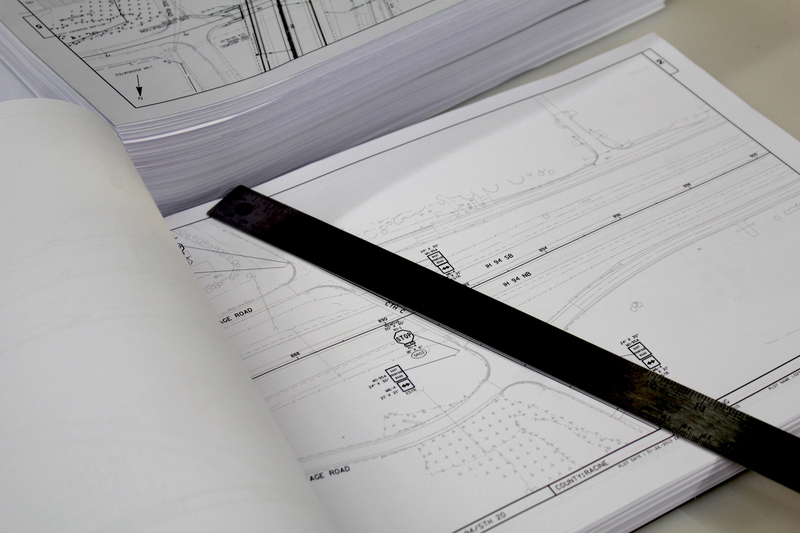 Plotting Plans – 3rd Coast Imaging can print, scan and duplicate plans in both color and black-and-white. We can print sizes up to 60″ wide and scan size up to 36″ wide. Scans can be output in a variety of formats including TIF, JPG and PDF and can be delivered electronically via Hightail or on CD/DVD. Spec Book/Project Manual Printing – 3rd Coast Imaging prints countless spec books of all different sizes and lengths. Available in 8.5″ by 11″, 11″ by 17″ or a custom size, 3rd Coast can print and bind books large and small. We offer GBC, coil, Acco, spiral, screw post and other binding methods to ensure a durable and professional product that suits your needs. Full-Color Presentation Boards – 3rd Coast Imaging prides itself on producing the highest quality presentation boards around. Printed up to 60″ wide on our 1200 dpi printer using 12 colors of ink, we produce presentation boards with vivid color on high quality stock to produce imagery that impresses our clients, and more importantly, their clients. For more information about our Architectural, Engineering and Contractor print services, contact 3rd Coast Imaging and one our staff members will be happy to help you.